Shi Bytes is the blog of Shirley Parabia and part of The Honor and Blood Network. I have been blogging since 2001, which will give you an idea as to how old I truly am 😉 You can read a little bit more about my blogging history. ShiBytes.com was purchased on Tuesday, 19 April 2016, nine days after I brought my first child, a beautiful baby girl, into the world. I owned this particular TLD before, having initially coined the domain name back in 2009. It eventually expired and would remain in online limbo until 2015, when I purchased it again in January. I did not renew it when the one-year registration was up, but it was free to acquire again a few months later. Thus this blog was born, officially live since 11 June 2016. As for the blog’s name, it is actually a bit of wordplay, a little something that has been percolating in my mind for a number of years now. “Shi” is one of my nicknames (a short form of my full Christian name, Shirley) while “bytes” is a unit of digital information in computing well as a homonym for “bites”. Thus, through this website, I am offering the InterWebs en masse bite-sized slices of my life and my sundry interests and pursuits. The domain was registered through NameCheap. 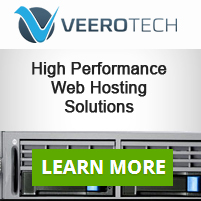 Web hosting provided by VeeroTech. Both services are very highly recommended! You can subscribe to and syndicate this blog with FeedBurner. You can also add the feed on LiveJournal. All donations for the upkeep of this blog and its associated sites are very much welcome. Feel free to contact me if you have any queries and/or suggestions.